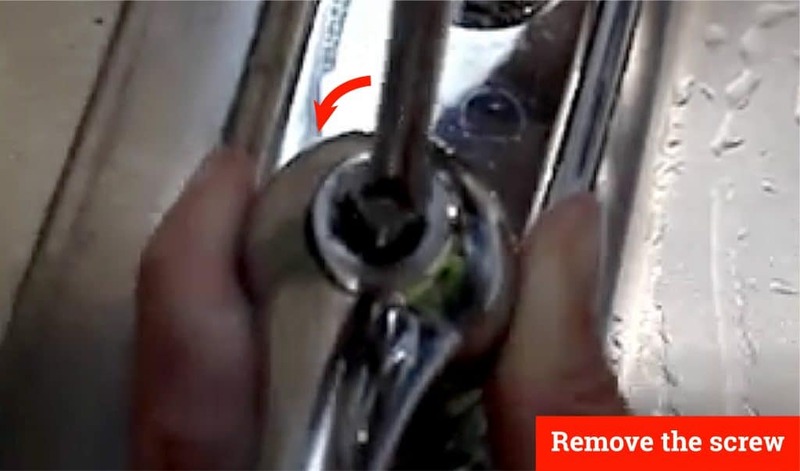 You may have found yourself in a position where you need to remove faucet handle without screws. You might need to change a cartridge, filter, clean it, look for a leak, or replace the handle altogether. If you made it here, you have probably taken a look at your faucet and realized that it does not seem to have any screws! Faucets are made like that for cosmetic purposes, otherwise, you would see all the working parts! 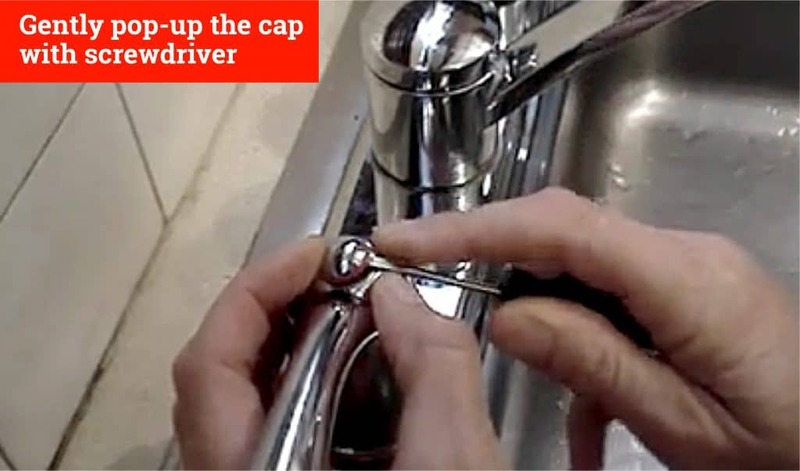 Your faucet handle or knob will have a small cap located at its base. Pop the cap off with a small screwdriver. 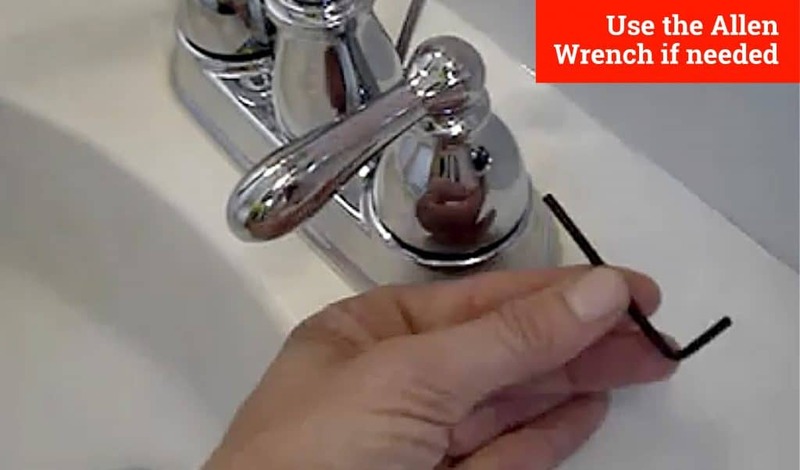 Use an Allen wrench or small screwdriver to remove the screw, then carefully use your hand or pliers to remove the handle of the faucet. 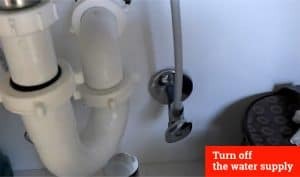 The overall trick is to figure out where to start to begin taking apart the faucet handle so you can get to where you need to be. Well my friend, you have come to the right place to learn different methods on how to fix this problem! 1. Visually assess the faucet handles to see if you see a button or cap with an edge. 3. Slowly and carefully work the screwdriver into the gap and gently work around the edge until it pops or unscrews off. Many of these faucet handles and caps can be very delicate. If one of them does break, you can easily order a replacement online. 4. Decide if you need to turn off your water supply. 5. While holding the handle, remove the screw within. 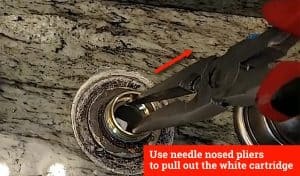 Also, remember you will want to close or cover the drain so that you will not loose a screw down it as they can be tiny! 6. 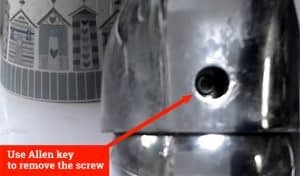 Once the screw has been removed, you should be able to pull the handle off yourself. However, you may need a specific tool like the faucet handle puller or a pair of pliers. If using pliers, you will want to wrap an old towel around the base then use the pliers so you do not end up scratching it! 7. 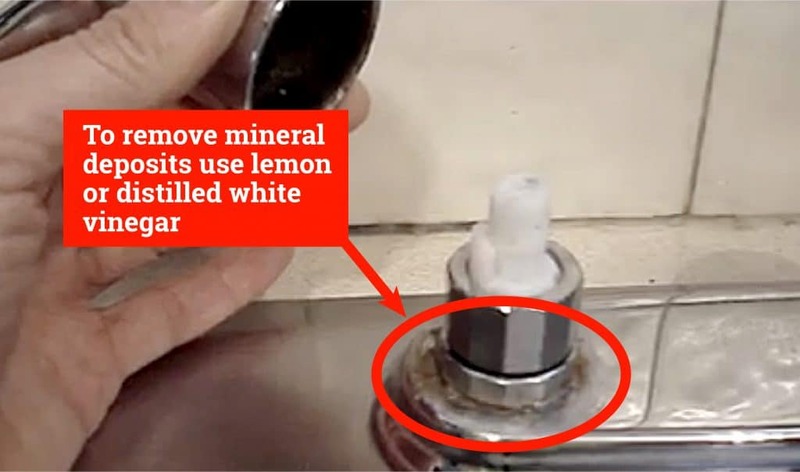 If you find mineral deposits once you move the handle, simply use lemon or distilled white vinegar to easily remove them. Ta-da! 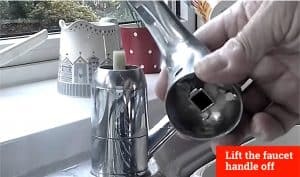 You have successfully removed your faucet handle without screws! After cleaning, you will want to go ahead and replace the cartridge and put the pieces back together just as you removed them. 1. As a safety precaution, you will want to go ahead and turn the water off under the sink for this method. 2. Hold the arm of the faucet handle in place and twist the base counterclockwise. 3. You will need a Phillips head screwdriver to remove the screw holding the centerpiece underneath. 4. At this point, you can use needle nosed pliers to pull out the white cartridge underneath and simply replace them! Several people have reported issues removing the cartridge, even when using the pliers. Although this can be frustrating, many popular faucet brands like Moer and Delta stand behind their products and will send you replacement parts if needed. 1. 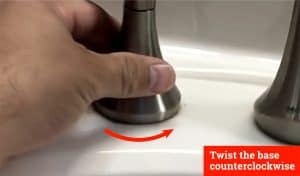 Begin by grabbing your handy little flat head screwdriver and carefully applying pressure to the edges of the hot/cold button on the front of the faucet handle. Again, these things can be easily broken so be careful and know that if it does break you can order another one. 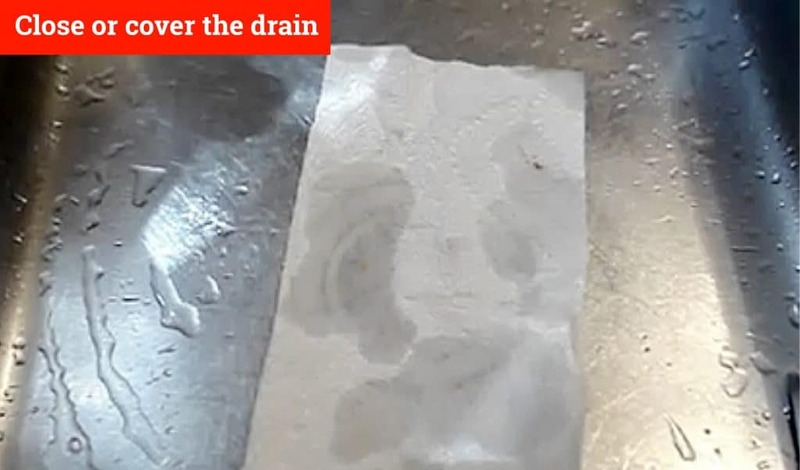 Also remember to cover your sink drain so that you do not lose the tiny piece! 2. Generally, there is not a screw behind the button but an Allen Key which means you will need an Allen Wrench to remove it. 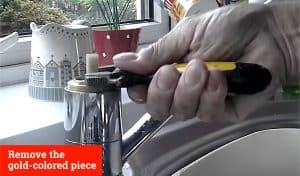 Once the Allen Key is gone, simply lift the faucet handle off! 3. 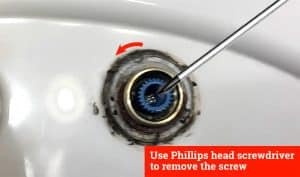 If your faucet has a cartridge, keep reading as you will next unscrew the top piece and expose the top of the cartridge. 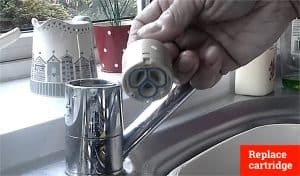 If the faucet does NOT have a cartridge, you have reached the actual faucet from which the water comes. 1. If you can remove the next gold-colored piece with your hand, it also unscrews. If not, use an old towel to protect it while you use a wrench to unscrew it loose. 2. We highly recommend not trying to take apart the cartridge and tediously replace the tiny pieces yourself, but to go ahead and buy a whole replacement cartridge to replace. 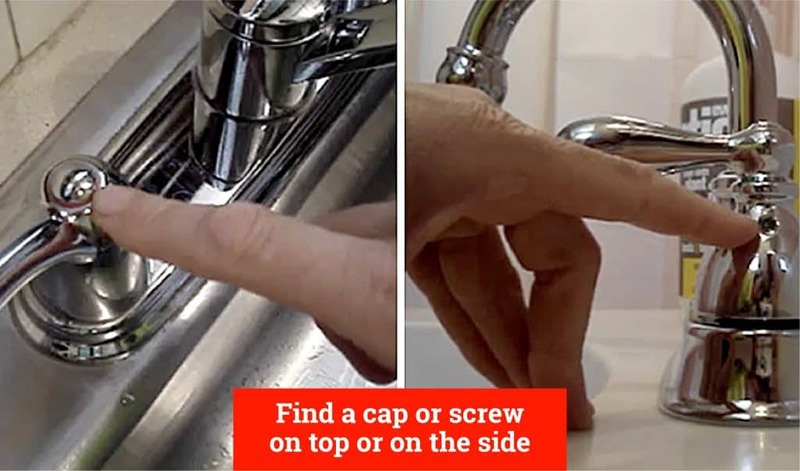 Regardless of what it looks like on the outside, you will have to find the hidden screw within your faucet handle(s) in order to remove it! 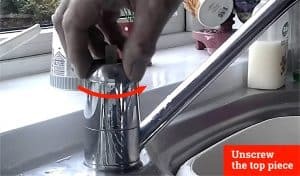 Keeping the above 3 ways to remove faucet handle without screws in mind, always start by observing what you are working with and planning your best method of attack. It also helps if you already have all your potential tools on hand whether they be an Allen Wrench, flat head screwdriver, regular wrench, phillips head screwdriver, or needle nosed pliers!